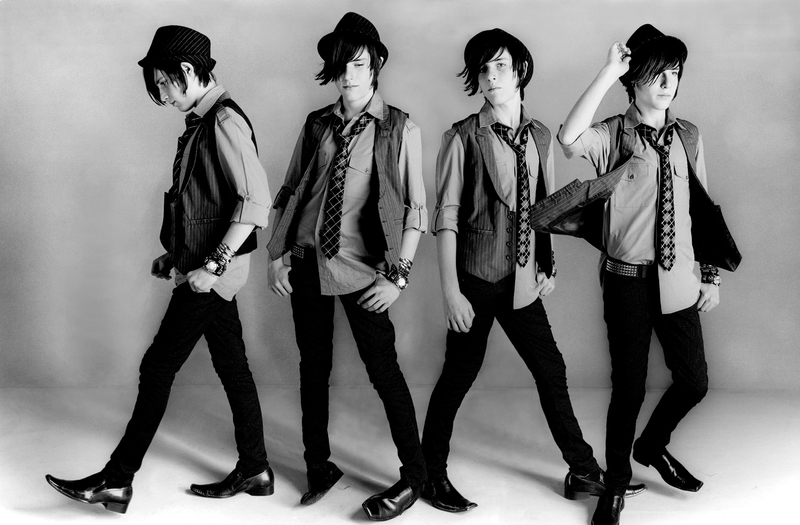 Model & Talent Photography and Promotion. Fashion & Beauty Portraits. Empire West Studios (EWS) the leading Model & Talent Photography studio located in Tempe, AZ has been selected, along with Vitamin Water, to co-sponsor The Phoenix Fashion Week Model of the Year 2011 competition held in conjunction with Phoenix Fashion Week. The event will include a series of Model Challenges which will begin in July and run through October at which time a winner will be announced during Phoenix Fashion Week. Full details will be forthcoming very shortly. The winner will receive a one year photography contract with Empire West Studios worth over $12,000 as well as an all expenses paid entry into The International Talent Showcase (ITS) model and talent convention held annually (in July) in Boca Raton and worth over $3000. Model agents come to the ITS convention from all over the world looking for new faces and it’s a huge opportunity for the PFW Model of the Year to break into international fashion modeling. At the same time that Empire West Studios procured the co-sponsorship of the Phoenix Fashion Week Model of the Year event, the ITS chose EWS to be their new Phoenix Director, responsible for finding and preparing ITS’s clients to showcase at the convention. This simply means that now all Phoenix area models and talent that desire the best in Model & Talent Photography as well as direct access to the top model agencies from around the world can find it all in one place…that’s Empire West Studios! These are very exciting developments, folks! More info will be forthcoming shortly. Whew, what a week!!! 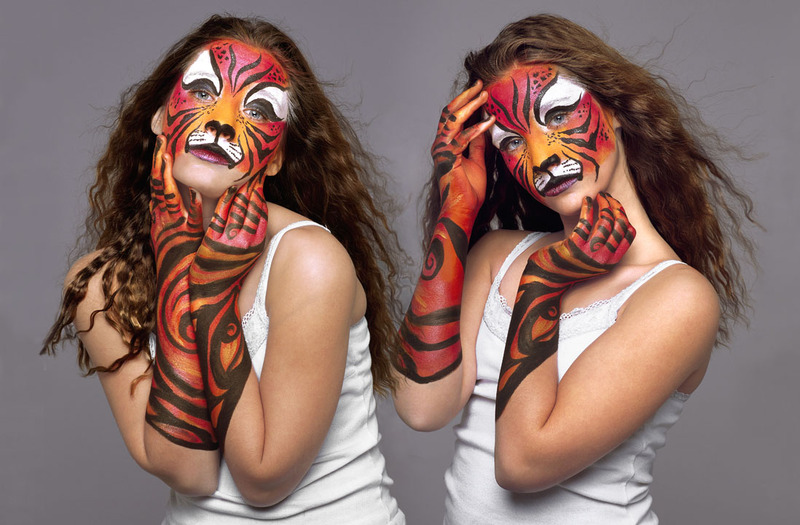 This is a prototype of our new Face & Body Art Photography ad that is set to kick off next week. Face & Body Art Photography is a perfect compliment to our specialty of Model & Talent Photography in that almost all of the same techniques are used for both disciplines. Today, more so than ever, photographers need multiple revenue streams and various types of product offerings in order to stay competitive and in the game. The following imagery is just a small sampling of the Empire West Studios (EWS) Face & Body Art Photography Portfolio that you’ll be seeing on the EWS blog. As we finish production on each group of images in the portfolio a special blog will follow, so stay tuned. 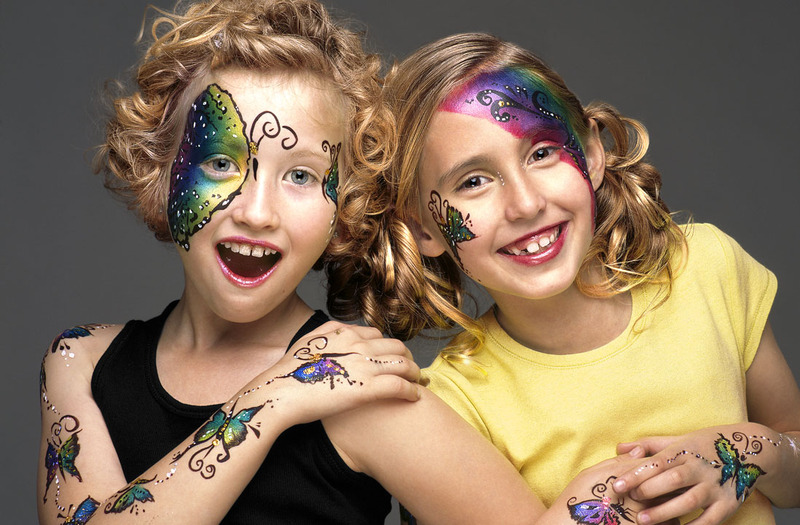 EWS Face & Body Art ad models, Molly & Tasha, age 8, make their debut as The Butterfly Girls. Alexa, model and talent…age 11, captivates the viewer in a very sensuous performance as Tiger Girl in this Empire West Studios Twin Set. 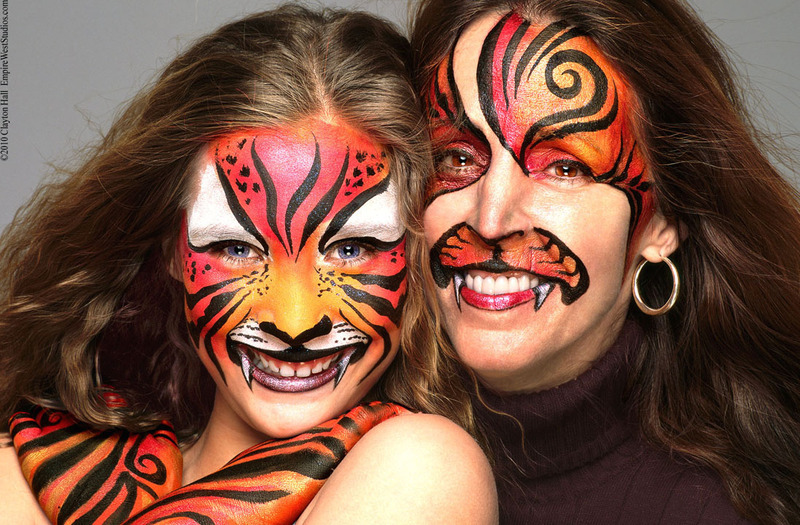 Alexa and her Mom, Katina, decide to show their fangs as The Tiger Women in this close-up Mother/Daughter portrait. light touch elevates this image onto a whole new level. Become a Facebook Fan of Empire West Studios. Just click here to see our Fan Page. Welcome to the new Empire West Studios blog. Here’s one of our latest performance montage photos with our client Luca. Check back regularly for our latest photos, tips and musings. 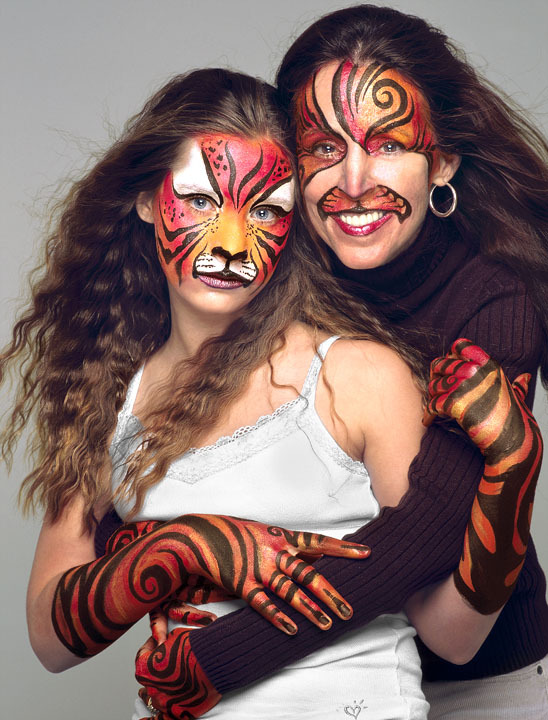 Empire West Studios is the leading professional Model & Talent, Fashion & Beauty, and Face & Body Art photography studio for children, teens & adults in Tempe, Arizona. HAPPY HOLIDAYS from EMPIRE WEST STUDIOS!!! Should I Just Walk into an Agency and See if They Like Me? How to Ruin your Modeling Career before You Even Start! All images, unless noted otherwise © 2010 Clayton Hall, All Rights Reserved. Any copying or digitizing, alteration of, manipulation of, archiving of, or derivation from any image on EmpireWestStudios.wordpress.com without the express written permission of Clayton Hall, Photographer will be prosecuted to the full extent of the law. In addition, these photographs may not be placed in any electronic cataloging or electronic delivery service without the express written permission of the photographer, Clayton Hall.